We are Stadium Sportswear. Edmonton’s choice for team uniforms and spirit wear. Whether it’s a sports team or a corporate team looking for a contemporary and fashionable uniform. We are excited about what we do. We are Professional Embellishment Designers and We take our trade very seriously. Aside from offering top quality garments from some of the worlds finest clothiers, we also offer elegant and exciting apparel embellishment, and we believe the following aspects to be of most importance. Color accuracy, which is essential and we are congruent with universal Pantone matching systems. 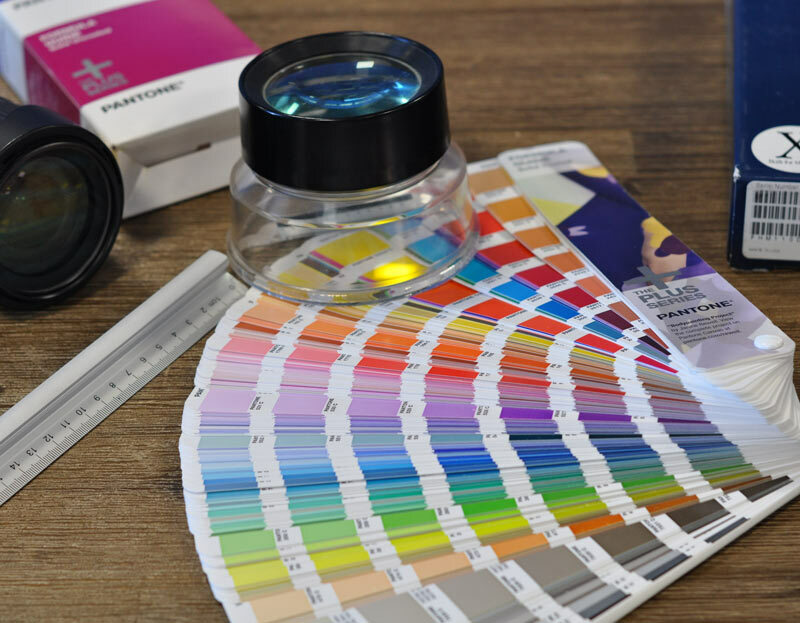 We take extensive steps to assure color accuracy including viewing color palettes under several varying light sources in an effort to find the closest match. Originality is crucial, and we are original and spontaneous. From the drawing board to the computer screen, we are efficiently creative. We create art, we do not copy existing copy written artwork. Embellishment technique selection. Our design team houses top specialists in apparel design and picking the most suitable product embellishment process, based on fabric content and weave characteristics. We are professional embellishment designers and we enjoy working for you.